Jennifer Weller concentrates her practice in class action litigation and the representation of attorneys in legal malpractice cases. 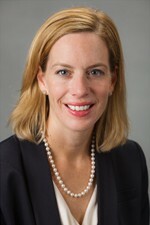 She has extensive experience litigating consumer class action cases involving claims brought under various state and federal laws, including the Fair Debt Collection Practices Act (FDCPA), the Illinois Collection Agency Act (ICAA), the Illinois Consumer Fraud Act (ICFA), the Telephone Consumer Protection Act (TCPA) and the Fair Credit Reporting Act (FCRA). Ms. Weller has represented lending institutions, debt collection agencies, debt buyers and lawyers. She has also represented debt collection agencies in regulatory proceedings before the Illinois Department of Financial and Professional Regulation (IDFPR) and in responding to state civil investigative demands. Before joining Hinshaw & Culbertson LLP in September 2000, Ms. Weller was for one year an associate with the law firm of Haskell & Perrin. Admitted in many district courts within the Seventh Circuit, Ms. Weller has assisted clients in numerous consumer class actions at the trial and appellate level. She is a member of ACA International and NARCA. "Life After Pressler and the Bar on Pre-Judgment Discovery," The National Creditors Bar Association, 2016 Fall Conference, Las Vegas, Nevada, October 27, 2016. "Fair Debt Collection Practices Act," Illinois State Bar Association Solo and Small Firm Conference, Springfield, Illinois, October 2010. "Ethics for the North Suburban Lawyer," North Suburban Bar Association, Skokie, Illinois, April 2010. "Navigating Debtor New Forms of Communication," 14th Annual National Collections & Credit Risk Conference, Miami, Florida, March 2010. "Technology and the Fair Debt Collection Practices Act," Lorman Education Services, live teleconference, January 2010. "How to Communicate with Clients to Protect Yourself from Potential Legal Malpractice Claims," Thomson-West, live webcast, November 2009. "Ethics for the North Suburban Lawyer," North Suburban Bar Association, Skokie, Illinois, April 2009. "Debt Buying in the Future: A Discussion of the Issues," Illinois Creditor's Bar Association, Chicago, Illinois, March 2009. "New Technology and the Fair Debt Collection Practices Act," Lorman Education Services seminar, Chicago, Illinois, March 2009. "The Limitation of Liability Through Business Forms," co-authored, chapter 15, Attorneys' Legal Liability, 2014 edition. Chapter co-author, "The Limitation of Liability Through Business Forms," Attorney’s Legal Liability practice manual, Illinois Institute for Continuing Legal Education (IICLE), 2002, 2005 Supplement and 2007. Chapter co-author, "Third Party Practice - Contribution and Indemnity," Illinois Civil Practice, IICLE, 2000 Supplement. Thomas McGarry and Jennifer Weller Co-author IICLE Chapter on "The Limitation of Liability Through Business Forms"